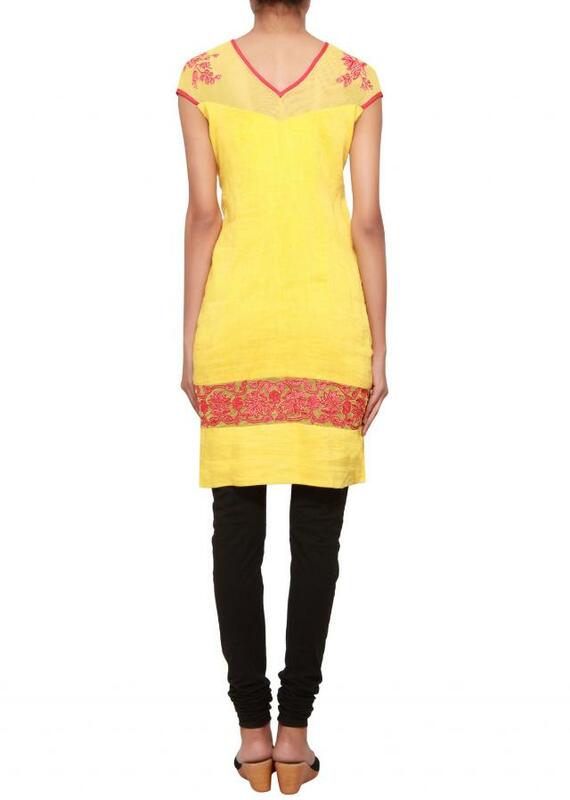 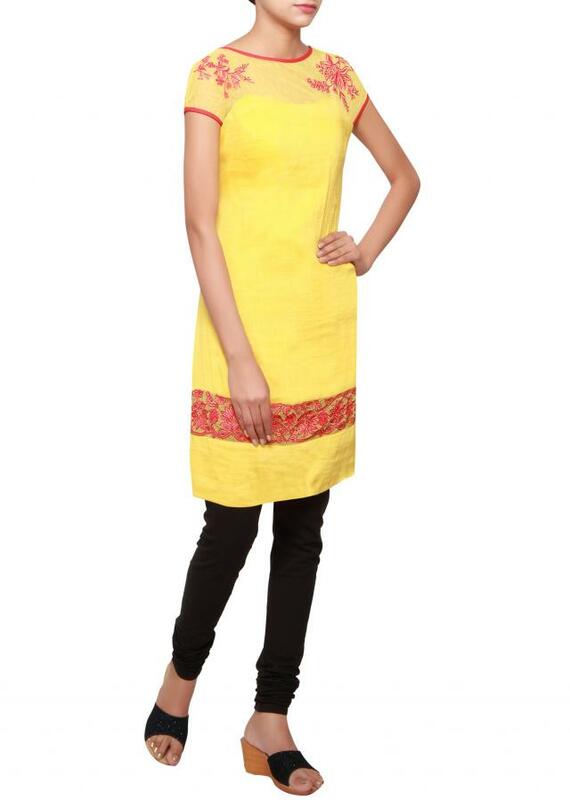 Featuring yellow kurti in cotton silk. 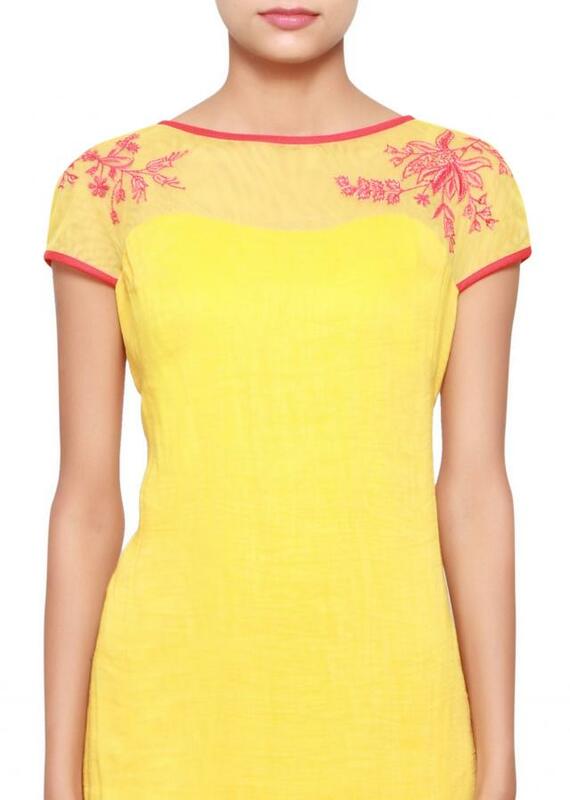 Yoke is in yellow net with red resham embroidery. Neckline is in v shape with hemline enhanced in red cotton silk. 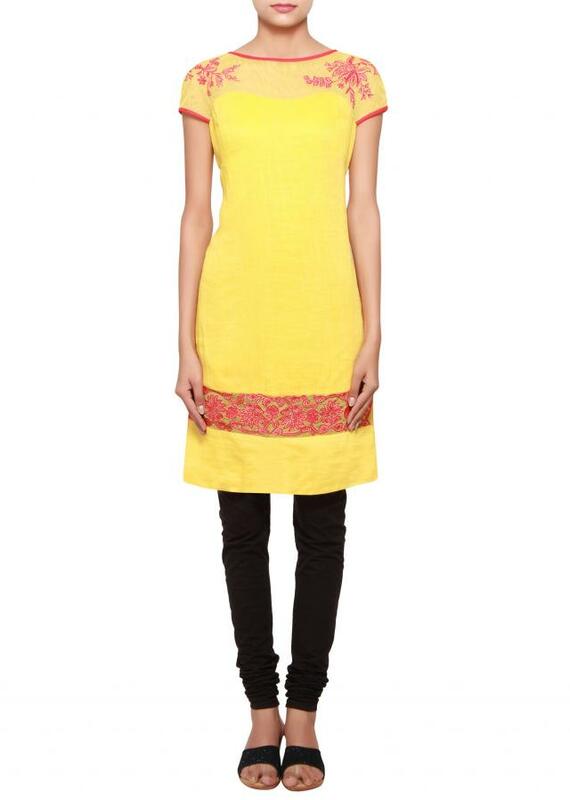 It is sleeveless with red piping. Lower panel has sheer fabric just above border.